Angry Birds 3D: Rovio's Next Great Project? History shows that it's only a matter of time before mobile gaming's feathered friends enter the third dimension. Every significant video game character left humble 2D beginnings for 3D, exchanging colorful sprites for polygons, with Mario, Mega Man and Sonic the Hedgehog among the most notable heroes to make the list. There's nothing wrong with 2D per se. It's just that, eventually, developers set out to try something different that breathes new life in a franchise. That, and the mass market has a love affair with flashy 3D visuals. 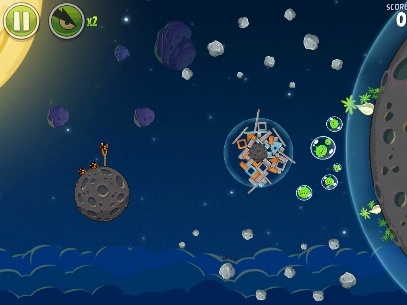 Sure, Angry Birds Space is cool, but how much longer will Rovio keep with 2D graphics? With this in mind, we have to wonder how many 2D Angry Birds creator Rovio intends to make. 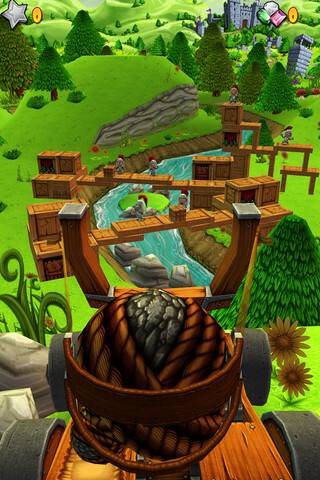 There was the original, followed by Angry Birds Seasons, Rio and most recently, Angry Birds Space, each game offering a somewhat unique spin on the proven slingshot formula. The response, of course, has been tremendously positive, with millions of consumers downloading these titles to their smart phones and tablets. Suffice to say, Angry Birds has neared or sits atop its peak, that moment where the developers can seemingly do no wrong. And yet, there will come a period when the numbers decline, forcing Rovio to either bow out of the mobile business altogether (an unlikely scenario) or come up with something else, either a new IP entirely, or a cool new way to experience Angry Birds, with 3D being the obvious solution to curing those predicted and perhaps inevitable company woes. Up until recently, the thought of an Angry Birds 3D seemed impossible until we played Chillingo's Catapult King, where the goal is to use a catapult to destroy different structures while at the same time eliminating the Nasty Knights. Simply adjust the height and direction of said catapult, pull back and watch destruction unfold. Obviously, neither Rovio nor Chillingo invented the concept of hitting things with a slingshot and catapult. Rather, Catapult King serves as an early glimpse at what Angry Birds 3D would look like, and quite frankly, it's quite entertaining. Like Angry Birds, there's plenty of trial and error, along with some luck for good measure. The catapult takes up too much screen real estate, but by and large, it's fun watching those projectiles crash through wood as if they're building blocks. If anything, it takes us back to being kids, and the longer we play, the easier it is to replace those cannonballs with each type of Angry Bird, and Nasty Knights for green pigs. It's hard to play Catapult King without dreaming of an Angry Birds 3D. Not only that, but the camera makes Catapult King even more immersive, as players follow from behind the cannonball as it flies through the air and eventually obliterates the target. We can only imagine what it would be like to see things from a red or yellow birds' perspective. Whether or not Rovio releases an Angry Birds 3D remains to be seen, but at the very least, Catapult King proves that the very concept isn't as crazy as it may have appeared. Regardless of motive (either desperation or natural evolution), it could become the best Angry Birds yet. Now we just need this game to become a reality.